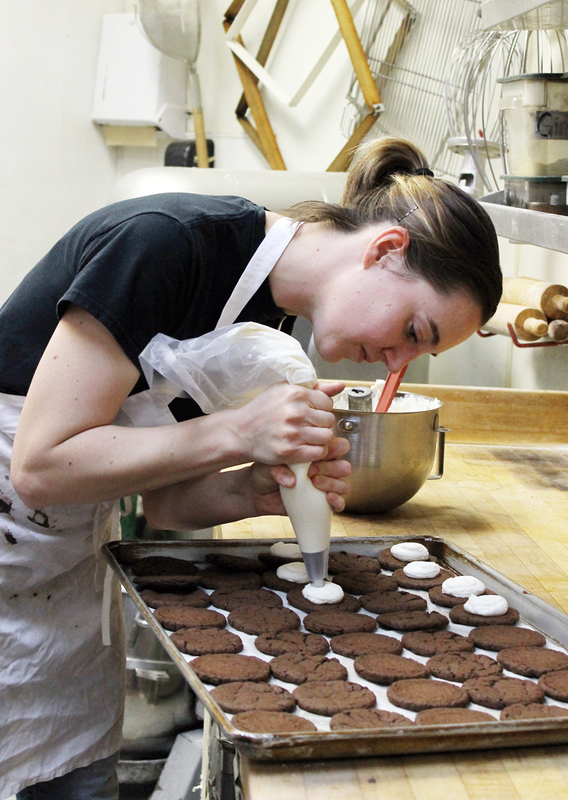 Owner and baker Emily Buysse hard at work in the kitchen of her Batch Pastries. Emily Buysse is an avowed cookie monster. So much so that when she was working for an IT company in Berkeley, and couldn’t find a decent cookie to nibble on during her breaks, she took matters into her own hand. She started baking, baking, and baking. 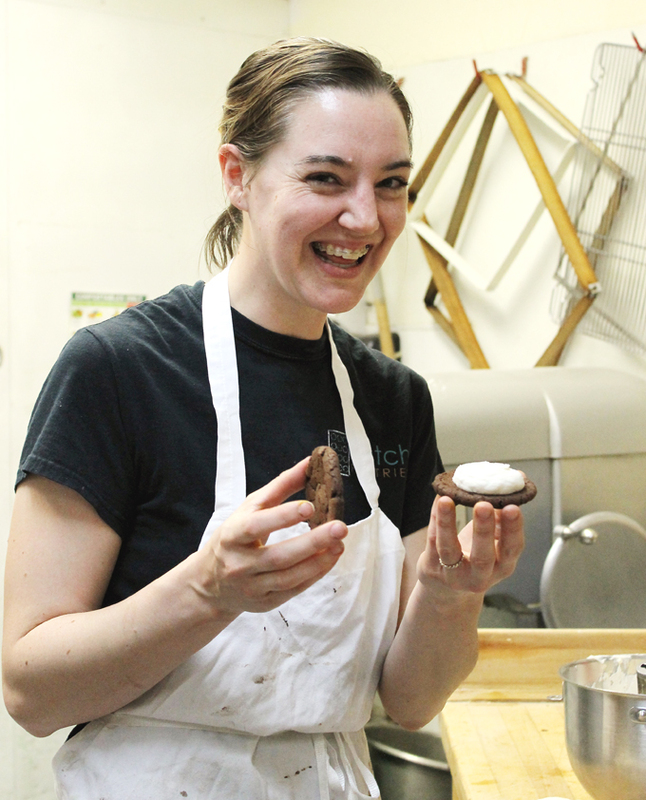 In fact, it snowballed into a sweet new career, launching her first into her own wholesale baking business before she decided to take over Montclair Baking in Oakland two years ago and rechristening it Batch Pastries. A perfect spot to take a load off with something sweet. 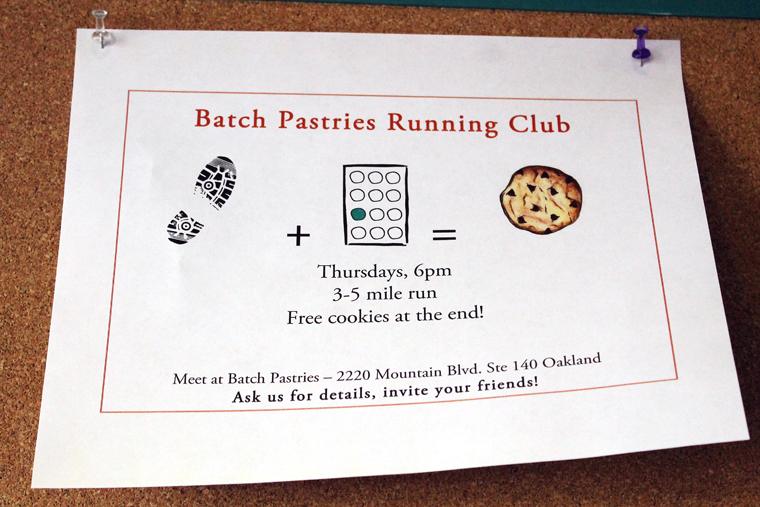 This would almost make me take up running again. 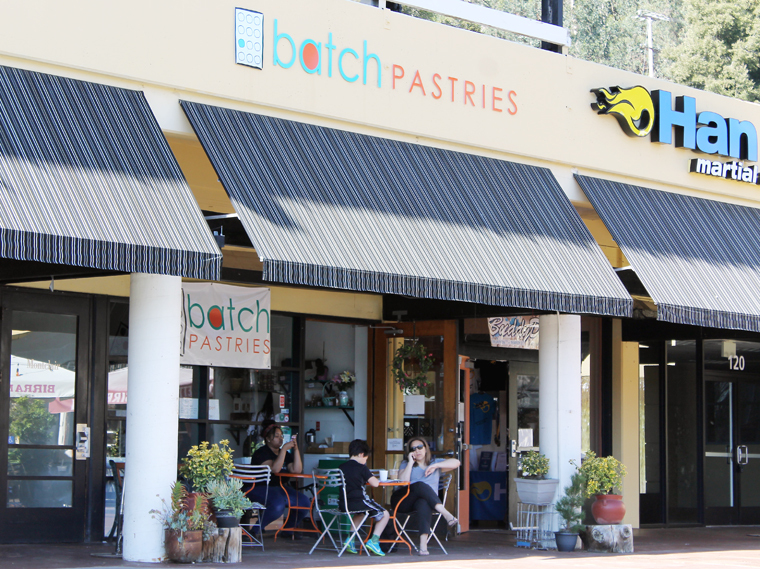 Situated in a small strip mall atop a hill, it’s a bakery small in space but big in heart. Regulars gather on sunny days to relax with coffee and a cookie, which she considers the perfect treat because it’s the ideal size to satisfy without overwhelming. 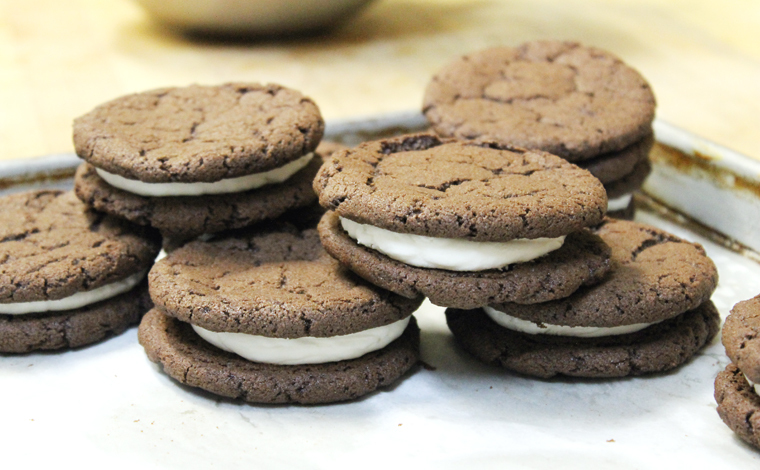 The Oh-Yeahs (her version of an Oreo) is beloved by the neighborhood kids. The Mudslide ($2.5) has a crackly top and a chewy texture like a brownie. The Kitchen Sink ($2.25) is loaded with mini pretzels, chocolate and nuts for an irresistible crunchy, sweet-salty combination. But there is a lot more than cookies here. 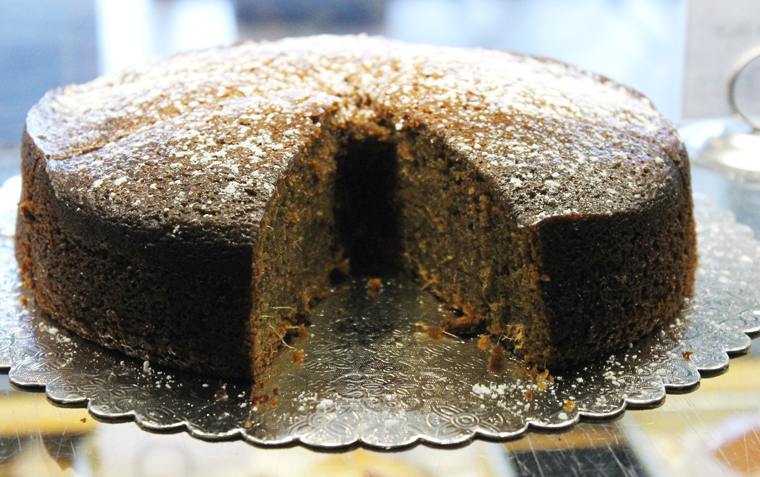 The Ginger Cake ($3.95 per slice) smells of Christmas and has a moist, tender crumb. The Chai Coffee Cake ($2.95 per slice) is drizzled with a glaze evocative of cloves, cinnamon and allspice. 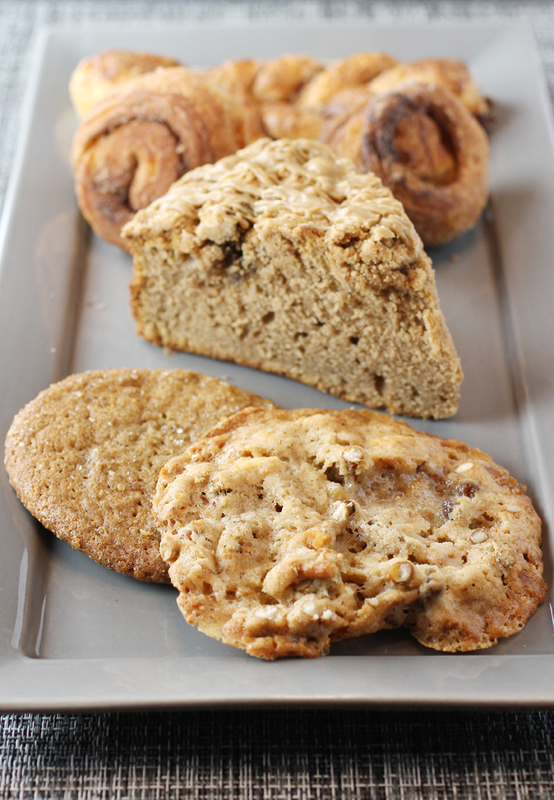 Ginger cookie, Kitchen Sink cookie, and Chai coffee cake. The cinnamon twist and mini cinnamon buns. 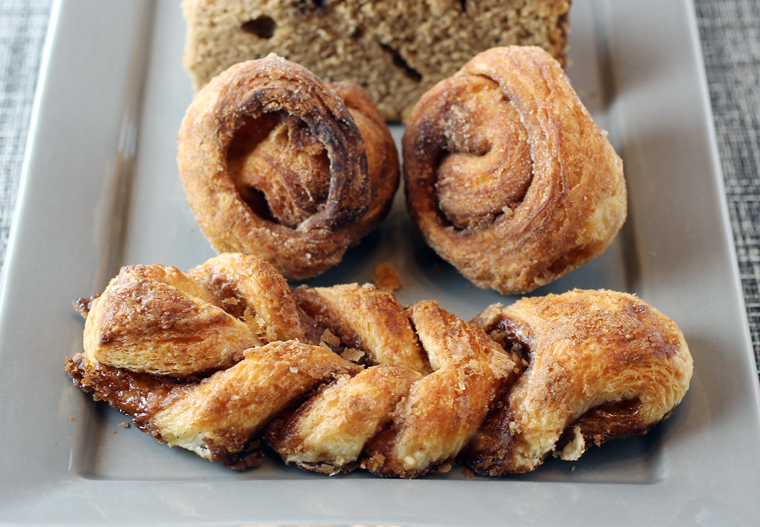 The Cinnamon Twist ($3.15) is like a braided danish loaded with cinnamon sugar. The Mini Cinnamon Bun ($1.50) looks like a smaller version of a flaky, buttery morning bun, but gets a good dose of cinnamon sugar all over. It’s delayed gratification well worth the wait. Who doesn’t love a fresh-made cookie? Good thing I don’t live too close to a good bakery or I’d be in trouble! Batch has the best gourmet treats! Sounds like a sweet place run by a sweet person doing sweet stuff. Sweet. 🙂 Definitely my kind of place! Woah, never heard of this place. I need to check out Montclair more often, especially for those chai scones.